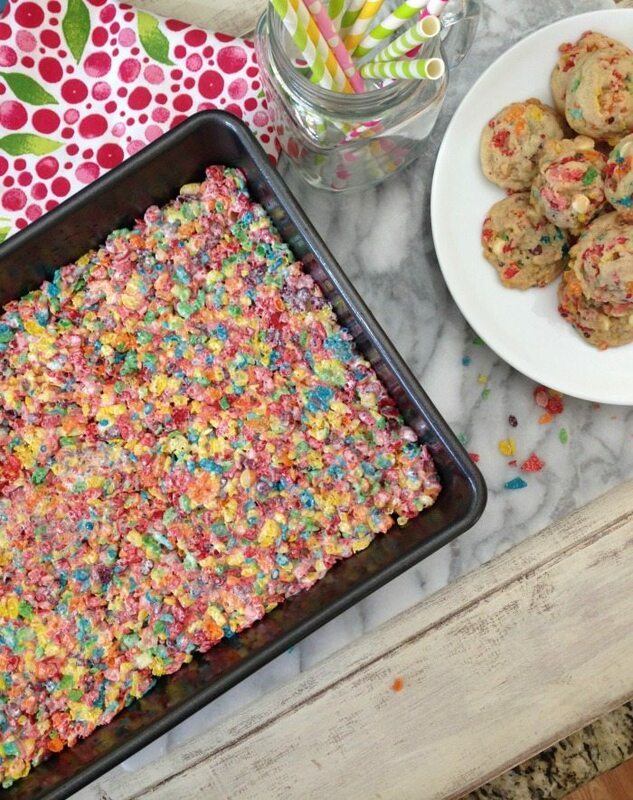 Last week I made Fruit Loop Treats for the office and they were such a hit that I was requested to make Fruity Pebble Treats. 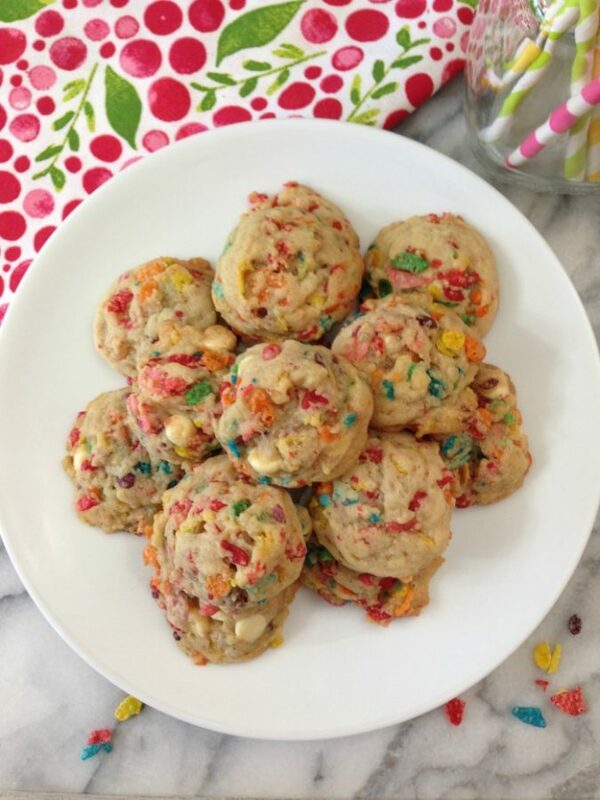 I made the treats and I had about 1/2 a box of cereal left so I thought I would try them in cookies. I was pleasantly surprised on how well they turned out. The cookies are sweet, but not overly sweet, buttery, chewy and are soft in the center. I also think they are pretty in color too. They scream the color of Spring and you know what? Kids and adults will love them. I made the first batch of cookies and I thought they weren’t sweet enough, so on my second batch I added a few white chocolate chips to the batter. I like the white chocolate chips in it because it adds another layer of flavor. You would think with all of this sweet goodness that the cookies wold be high in calories, but they are only 69 calories a cookie. That’s a nice guilt-free cookie. Do you have a favorite cereal that you like to add to your baking? 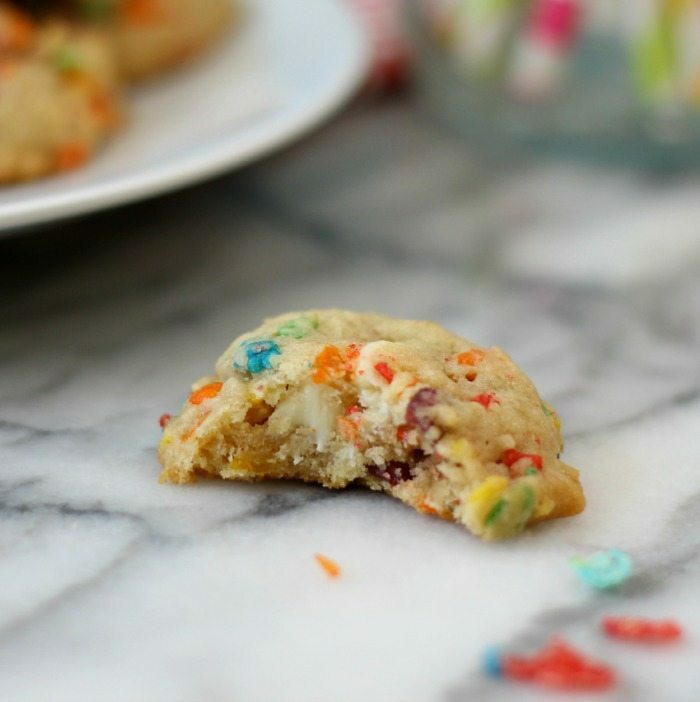 A light, buttery, confetti cookie made with Fruity Pebbles Cereal. They are only 69 calories a cookie. In a large bowl, Cream butter with both sugars until mixture is light and fluffy. Add egg and vanilla and beat to combine. Mix in flour mixture. 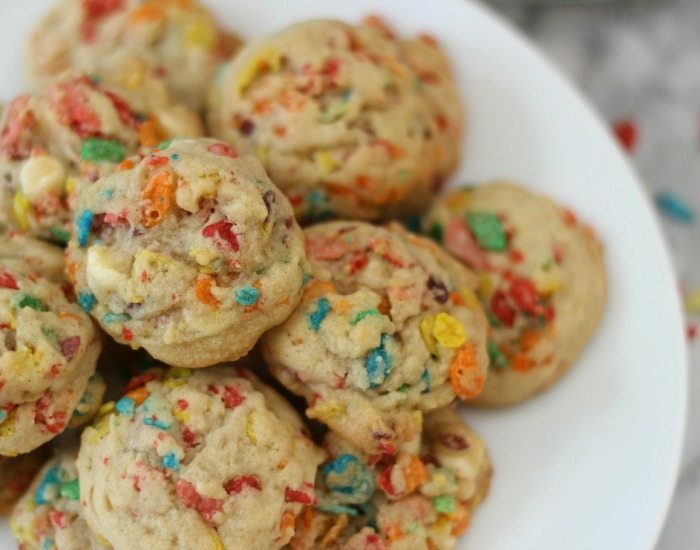 Stir in Fruity Pebbles Cereal and chocolate chips. It’s fun changing up your cookie recipes and adding different things. 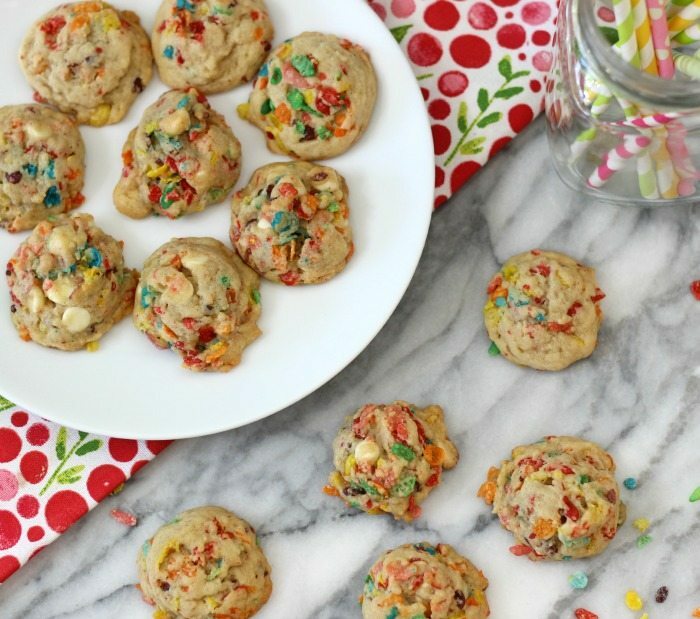 If you make gluten-free cookies, add some Fruity Pebbles to them. They are also gluten-free. I can’t wait to share these in the office. I hope everyone likes them as much as we do. P.S. 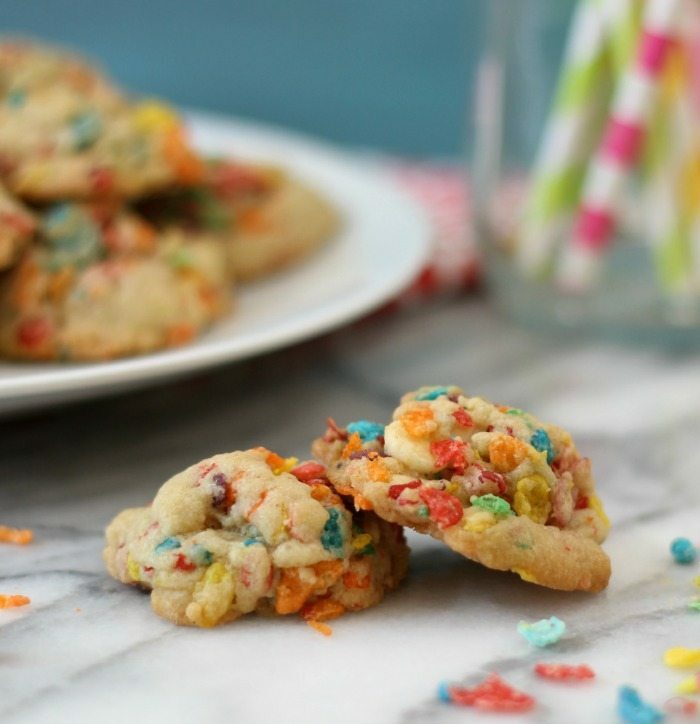 To make Fruity Pebbles treats, just use my Fruit Loops Treats recipe and sub Fruity Pebbles in place of Fruit Loops. Made this tonight, it is so yummy! After the first batch I did add more chocolate chips. Nice! Glad you like them. Thank you for letting me know.